This isn’t just an on-again, off-again wish to be near an idyllic beach. For me, the ocean is an essential part of my existence. Some find comfort in the smell of their childhood home; my comfort is the smell of a fresh off-shore breeze. Some people seek solace in the taste of their mothers cooking, I find mine when biting down on lips wet with salt water. Some find power in work or money. I find power in the moments where my body is in tune with the gentle pull of the ocean’s omnipotent currents. Some pray to gods for answers. My answers come in the form of thundering waves crashing against soft golden sands. Loud and omnipresent. To take me away from the ocean is to take away my life source. I could swim before I could crawl and surf before I could ride a bike. So, when I had the opportunity to go on a surf camp in Muizenberg, I just couldn’t resist. This is what my 2-day surf camp in Cape Town was like. It was 5 am in the morning. It was cold, dark outside, and I was awake long before my alarm went off. Now, you might think that I woke up so early because I was stoked. The truth is that, although I was excited to go surfing that day, I was a bit hesitant about surfing in Muizenberg and the fact that I had never actually been on a surf camp before. I’ve traveled the coast of South Africa, from Mozambique’s gloriously warm waters all the way to St Helena Bay, but my surfing adventures were shared with two or three other people and for some reason, Muizenberg just wasn’t on my radar. It wasn’t that I hadn’t heard of it. I mean, it is hailed as the birthplace of surfing in Cape Town. I was put off by the crowds of people that flocked to the beach each December. But, I wasn’t about to pass up an opportunity to spend a weekend worshiping the ocean with a board. 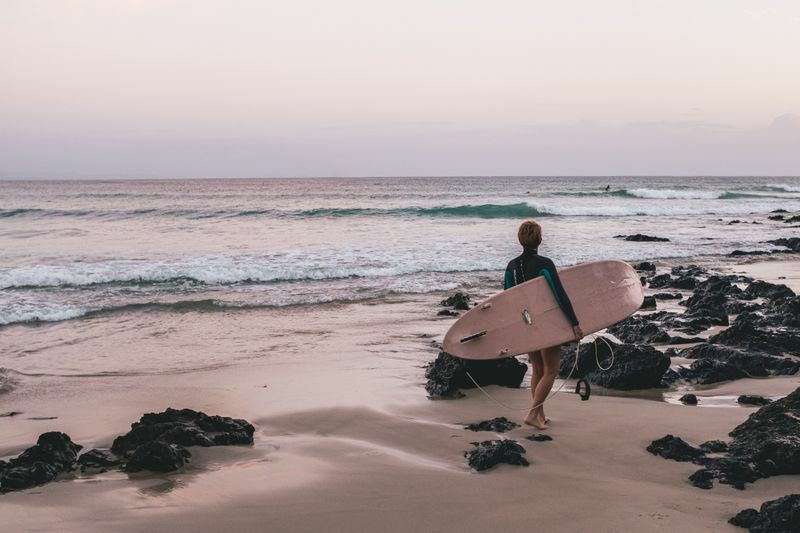 Tips from a local: If you want to escape the crowds and have an authentic South African surf experience, head on a winter surf camp. The conditions are great, you’ll be mingling with locals and there will be plenty of space for you in the water. Like any good adventure, mine had a soundtrack and the chilled out tunes of Xavier Rudd’s didgeridoo floated through the air as the car pulled up to the African Soul Surfer hostel. I’ve stayed in a few surf-themed hostels before, but none were as in-tune with surf life as this! 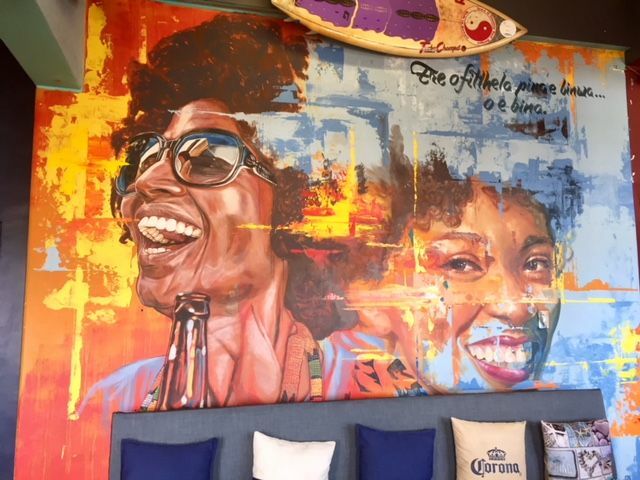 Aside from the fact that African Soul Surfer is closer to the beach than any other backpackers’ in Cape Town, the vibe of the place was everything you’d expect a surfer’s home to be. Chilled out music played throughout the historic building which is adorned with quirky surf-mementos and Cape Town inspired artwork. 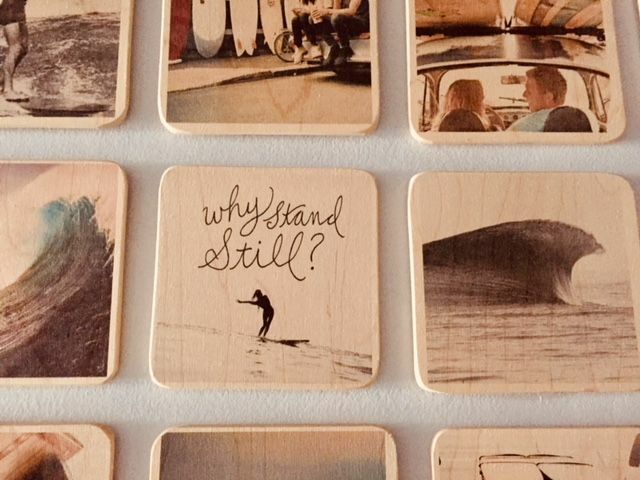 Freshly waxed surfboards lined the walls, and the balcony was dotted with surfers in hoodies watching the morning line up over freshly brewed coffee. 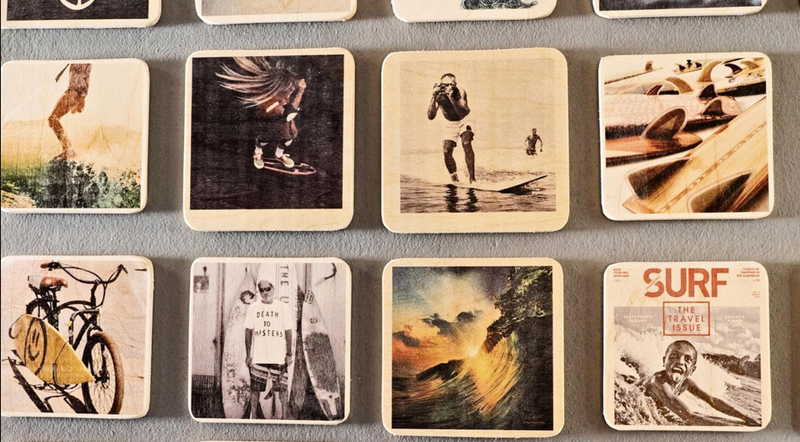 To say that this place is obsessed with surfing is the understatement of the year! But, there is more to do than just ride epic waves and catch a tan on the beach. The surf camp is headed by Jamie, who is a surf traveler and passionate yogi. So, it comes as no surprise that the hostel features a brightly lit yoga studio looking out over the waves. Each day, there are guided Hatha or Vinyasa Yoga classes which will help you unwind and recharge after an epic surf session. Sadly, I missed the chance to enjoy a yoga session. But I won’t the next time! After a quick tour of the hostel and my room (which had the best sea views!! ), and a much-needed cup of coffee, it was time to hit the water. Before the surf camp, I checked and rechecked the expected surf conditions for the weekend and the prospects didn’t look so good. Luckily, the weather channel was wrong this time. Although the skies were partly cloudy and the temperature a little cold, the line up consisted of slow, flat waves that were perfect for longboard enthusiasts like me. There is this saying that goes “Only a surfer knows the feeling”. And it’s true! No words can articulate the freedom and oneness that flows while riding (or bailing off) a wave, no matter how big or small they are. 1. Locals tend to be very protective over certain spots, which means that not any grom (young or inexperienced surfer) or Spongebob (bodyboarders) can paddle out to the line-up. 2. Shark attacks have occurred in Cape Peninsula waters, especially on the False Bay side; so, be sure to take proper precautions and keep an eye out for the shark spotters flag warnings. 3. Muizenberg has the longest break in the Cape Peninsula. The wave is ridable for approximately 1.5 km (1500 meters), with an average wave size ranging between 2 and 5 feet. Between catching waves and embarrassing bails (which always result in a running nose), the surf instructor and I had long chats about why we love surfing and what makes Muizenberg so special. For him, surfing saved his life. It gave him a purpose and, to quote, “something healthy to keep him away from trouble”. When he spoke about surfing in Muizenberg, he said that it was the sense of community that he loved most about this unassuming surfers’ haven. 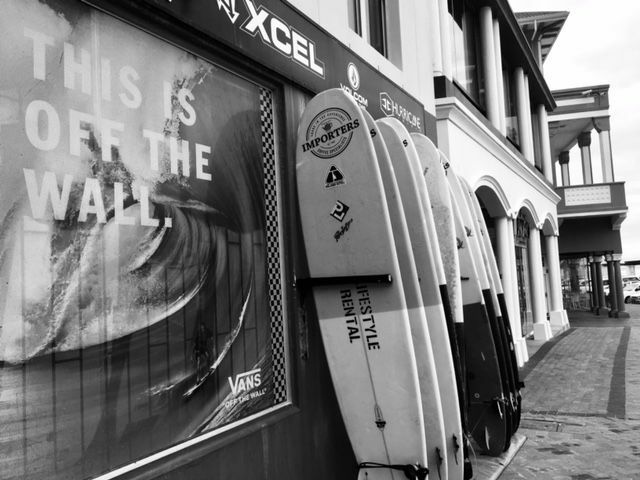 Although localism can be rife between the more advanced surfers, there is an unspoken agreement that beginners should be welcomed into the scene and helped out as much as possible. 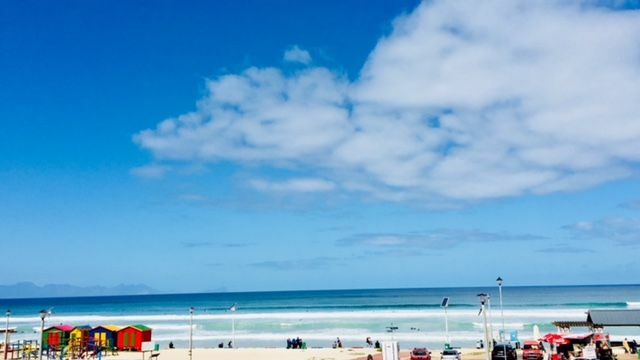 This is probably why Muizenberg is hailed as the best spot to learn how to surf in South Africa. 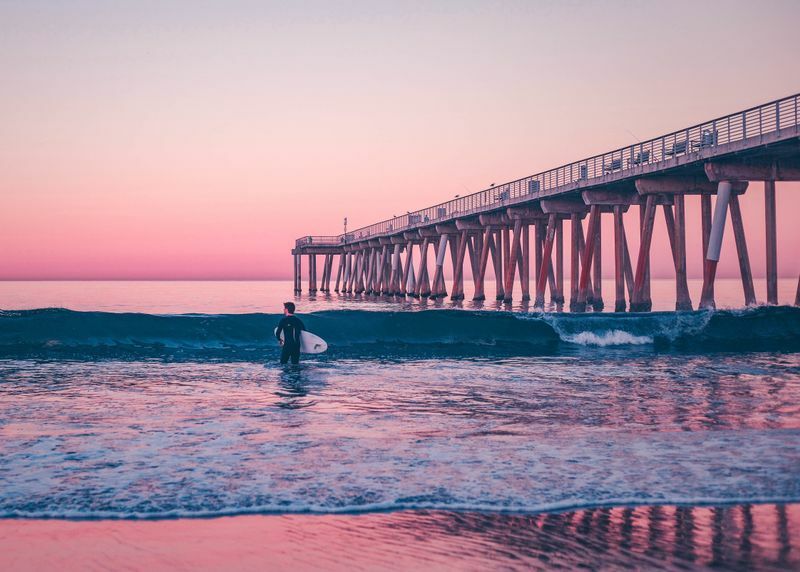 A soft sandy bottom to cushion the bails, warm(ish) waters, and a welcoming community of surfers is what you’ll find while on a beginner surf camp here. By the time we got back to land, my toes were blue and I was exhausted. Thankfully, the surfer’s high kept me going long enough to explore Muizenberg. But first things first… Lunch. When you’re on a surf camp, you’ll probably eat more than you ever had in your entire life. And no, I’m not exaggerating. Without having a sustaining breakfast, you’ll be exhausted within 10 minutes of being in the water and, after a two-hour surf session, even raw kale starts to sound delicious (sorry if raw Kale is your thing, but you get what I’m saying). Since breakfast time was over at the camp, I roamed around Muizenberg in search for lunch and I was definitely not disappointed. In fact, I was overwhelmed by choice. 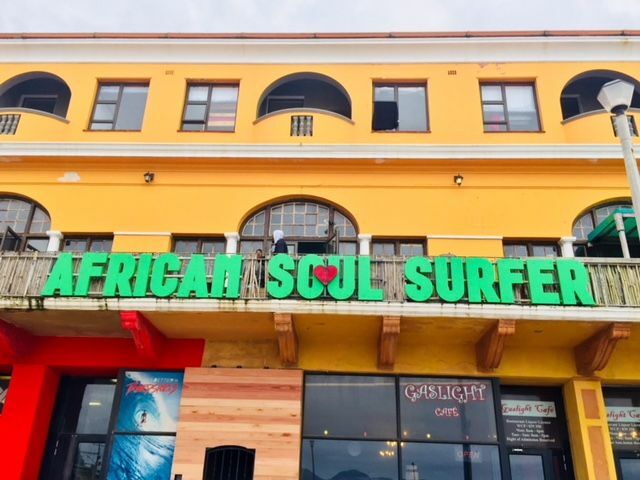 Just a one minute walk away from African Soul Surfer are a plethora of quirky restaurants and bars that all offer amazing views of the surf! 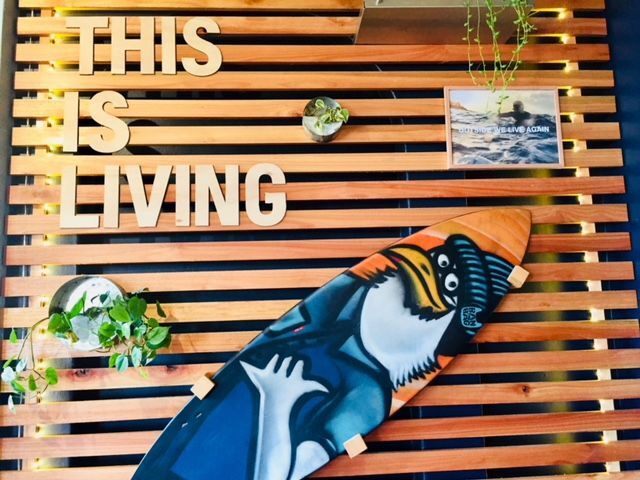 I settled on a little surf shop that has a superfood snack bar, had a hearty meal with a couple of skateboarders and surfers, and then was off to explore more of what this hippie town had to offer. Starting off, I took a long walk on the Muizenberg catwalk all the way up to a little seaside village called St James, lounged in the tidal pools, explored hippie trinket stores, and watched the surf in Danger beach. The one thing I’ve learned during this trip is that you have to be prepared to do a lot of walking as there is so much to see and do in the area. Tip from a local: If you want to explore Muizenberg like a local, then go on a free walking tour that is guided by residents! 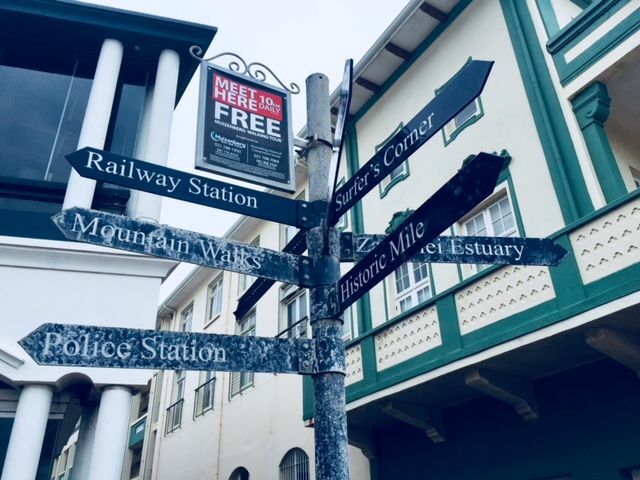 Every day, from 10 am the Muizenberg Historical Conservation Society hosts guided walking tours that will give you unique insights into 350 years of extraordinary history. Did I just wake up in Jamaica? After about 5 hours of wandering through the sleepy coastal villages of Muizenberg and St James, I headed back to the surf camp for a power nap and woke up to the sound of reggae. This wasn’t so unexpected. I mean, surf and reggae do go hand in hand, but when I walked into the little bar, it was like stepping into the late 1960s Jamaica. 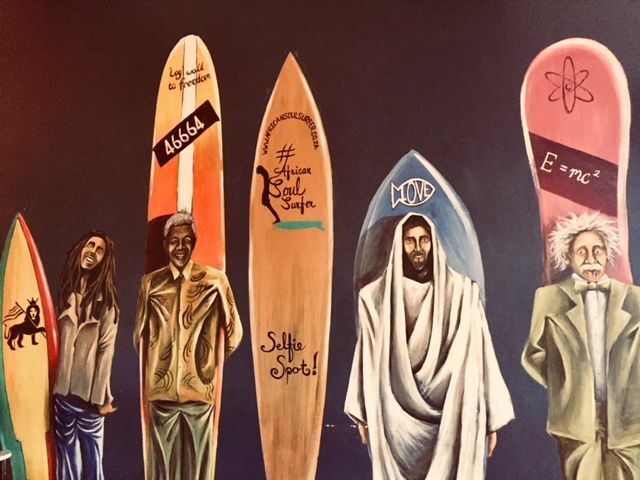 Turns out, African Soul Surfer hosts an event or two each month, ranging from art exhibitions to live music performances and even a classic movie or documentary in the cinema. This month, I just happened to be in time for the reggae appreciation event, and it was AMAZING. Local reggae artists sang the night away while dreadlocked hippies, surfers, board shapers, and everyone in between gathered around blazing fires and shared life stories over beers (and the odd shot of tequila or two). I had long chats about finding spirituality in big wave surfing with a sun-beaten old man, learned about the struggles of women surfers trying to make it in this male-dominated sport from one of the first female board shapers in Cape Town, and even got to chatting to the owner of the camp about the beauty of surf life. 1. You're a surf traveler. 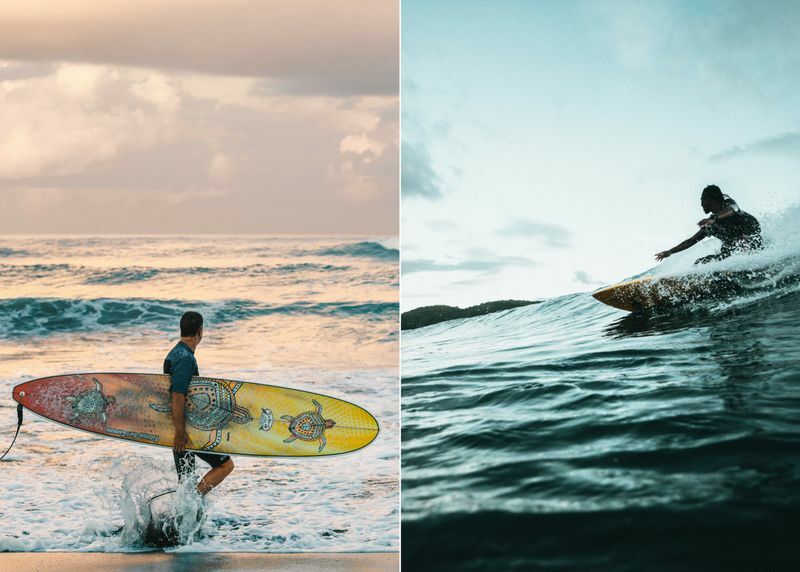 What draws you to the places you travel to and where have your most memorable surf trips been? I love traveling and have traveled to many places so far. A lot of the trips have had surfboards in tow. I like going to remote places, where culture hasn’t been spoiled by modern ways too much, and surf travel often takes one to the far-flung places where it's still pretty simple and pure, changing fast though. But the waves are really just the cherry on top. It is the people, sights, smells, food, and nature along the way that really makes the adventure. Most memorable trips? Indonesia in 2000, Nicaragua in 2003, Morocco in 2004, and a recent trip up our very own North West Coast all jump to mind. 2. Why do you think surf camps are becoming so popular? Surfing is awesome fun and a very attractive lifestyle for many. Adventure tourism is growing hugely, so learning to surf while on holiday is popular. 3. 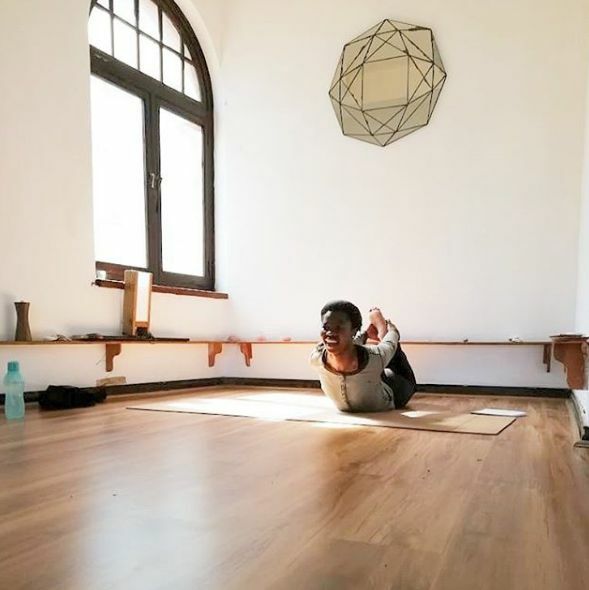 I noticed that yoga is a big part of the African Soul Surfer identity. Have you always been a surf yogi and why do you think the two work so well together? For the last 20 years yes, I practiced yoga/meditation/surfing almost daily. There are so many correlations between them. On a physical level, yoga provides great flexibility, which is important in surfing, plus a great way to unwind the muscles after a long surf session. On a mental level, all 3 activities require you to ‘be in the moment’, and yoga & meditation help again. All 3 are non-competitive, more a mastery of yourself. 4. African Soul Surfer is really involved in the community. Can you tell me a bit more about the Making Waves project? We work with a few great grassroots programs that are using surfing as a vehicle for change in the less-fortunate communities nearby. Surfing is a whole lifestyle, and once the bug has bitten, it is a great way to keep kids busy and off the streets. 5. Reggae and surf life are synonymous and you even host reggae appreciation nights. Why do you think there is this association between the two lifestyles? Both inspire a chilled out attitude and I personally love reggae music. Not every surfer does though. For me it’s a perfect fit. Give thanks! 6. 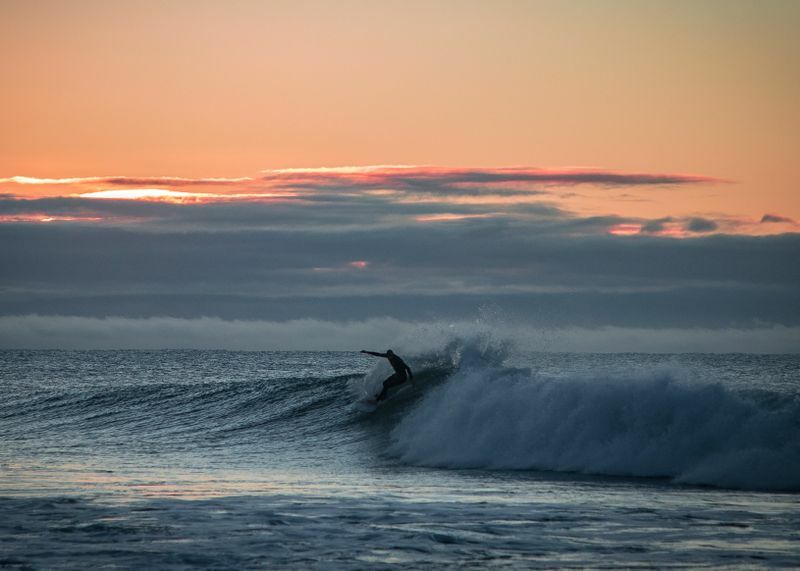 What inspires you to surf? The Ocean. The peace she brings. Communing with Mother Nature in a deep way not possible otherwise. Leaving all my troubles on land. To be completely in the moment, wrapped in a liquid vortex of energy (the tube) that is so beautiful it almost seems meant to be. Transcendental. That’s something!!! It was about 1 am when I finally crawled into bed and fell asleep to the sounds of waves crashing. While dozing off, I realized that I actually loved Muizenberg. Sure, it gets crowded in December, but I finally understood the reason why so many people flock to this sleepy beach village. It’s not the waves that make this an excellent place to learn how to surf. 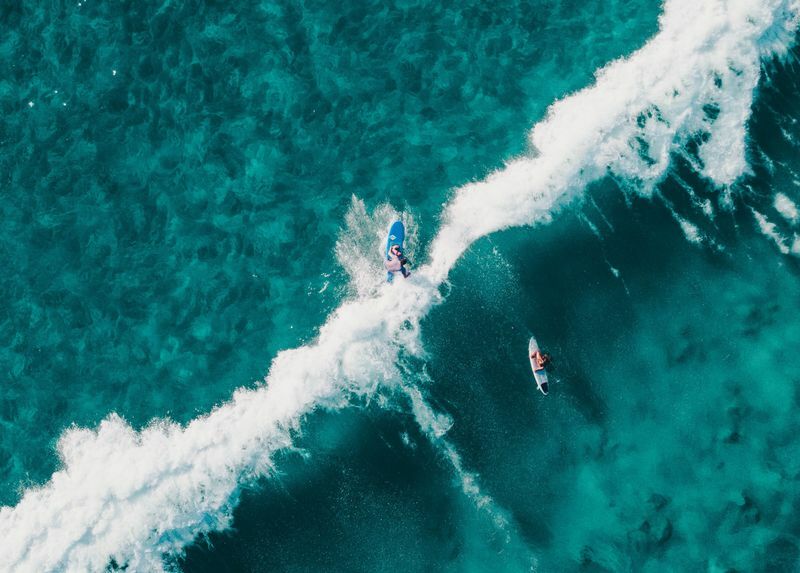 While on a surf camp in Muizenberg, you forget that any other reality exists and immerse in an authentic surf culture, brimming with a sense of spirituality and gratitude for South Africa’s beautiful oceans. This is why we surf! Ready to pull in? Discover the beauty of surf culture for yourself on an epic surf camp in South Africa! Jodi is a Travel Writer for Bookallsafaris.com and an adventure enthusiast. She lives in South Africa and has a passion for surfing, ocean conservation and exploring Africa's diverse landscapes through various sports.